Each year the Auckland library issues the TransTasman ANZAC Day challenge. This year I am going to talk about Ernest William Weeks , my great great uncle. Ernest enlisted in Brisbane 10 December 1914. He was a machinist (possibly at the Albion sawmill) and he had previously served in the Field Artillery for 2 years and 5 months (from attestation papers). His physical description from his attestation papers is given above. There is nothing listed in the distinguishing marks column. 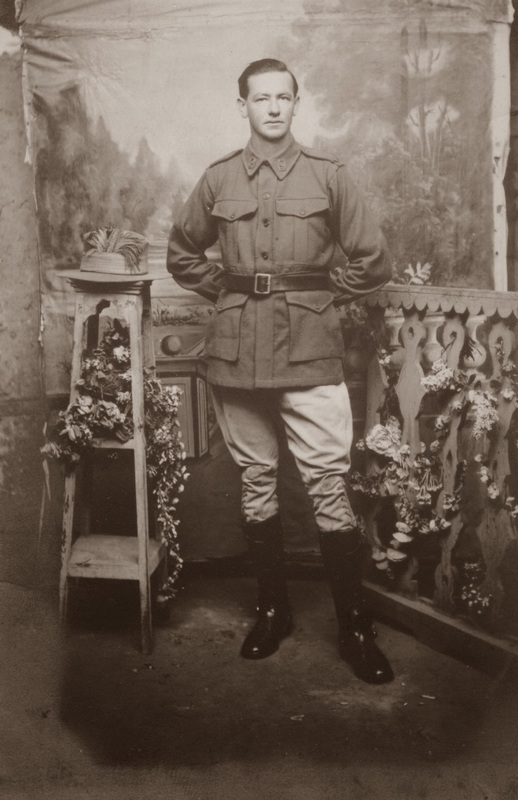 He joined the 5th Light Horse as 2nd reinforcements and his unit embarked from Brisbane on the Itria 9 February 1915. 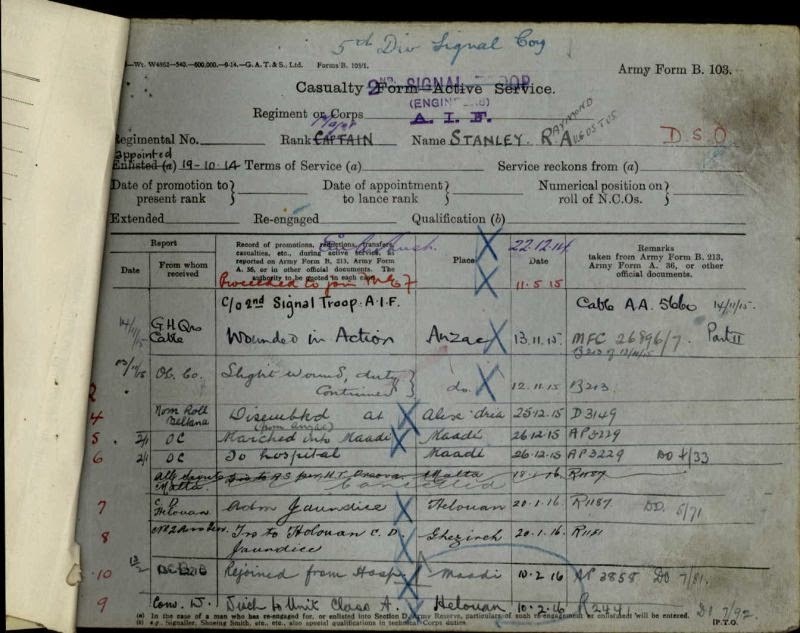 Per his service record downloaded from the Australian National Archives he arrived at Gallipoli 29 July 1915. 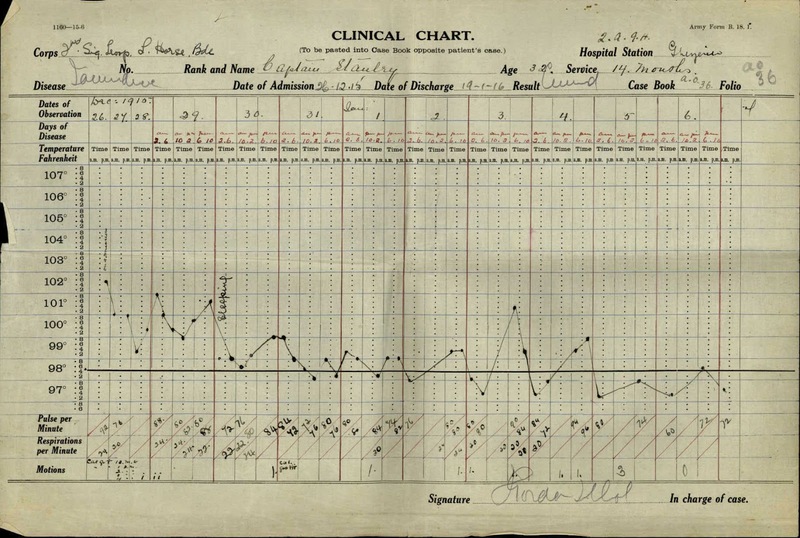 Ernest was one of the very many soldiers there affected by disease and was removed to the hospital ship Huntsend 6 September 1915 with dysentery. He was discharged from there to Malta 14 September and was taken on strength again 26 September, in Egypt. Ernest is named in two photographs at the Australian War Memorial and you are able to purchase copies of their photos. In this one he is listed as being second from the right. Interestingly as reading further in his file it states he had lost two fingers, the 4th and 5th digits, in an accident about 1907. Strange as I would have considered that having two fingers missing would have been a distinguishing mark, wouldn’t you? It did say that not having those fingers had no effect on him using his rifle, well that was until he was unloading camels and apparently had an issue with them which affected the next finger! Ernest is classified as B class November 1915, although is still apparently able to use his rifle enough to remain in the Army. Ernest stays in the Army and around various areas in Egypt until he returns to Australia 28 June 1919 aboard the Madras. Ernest had spent a number of years away at war and one can only wonder at his thoughts coming home to re-establish his life. The next we hear of Ernest is in 21 August 1919 Queensland Times. William George Weeks was the caretaker/gardener at Albert Park and lived in the caretaker’s cottage in Albert Park which is near the Roma Street railway station. On the 23rd August Ernest is still listed as missing. His body was not found until the 30 August floating in the Brisbane River near Raceview. It was believed he may have been dead for a while. The truth of what happened will never be known. Did he have, what today, we would call post-traumatic stress? Had something happened to him when he came back? When his parents passed they were buried with their son, Ernest. It is so important that we don’t forget our soldiers, past, present and future. We must work to support them while they are enlisted and after they return.